Warning! Please provide valid email address, because we send payment instructions and take over informations to email address you provided. Warning! Your digital photo with a white or blue background. Thus, a total of 3,500 forints shall be transferred! IMPORTANT! 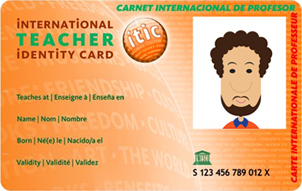 In announcement should be shown the student's or teacher's name and the type of the card. (e.g. Ibolya Kiss, ITIC Card). Your card will be printed only after we recieve the amount. Choose one office where you will pay out and take over your card. ---1052 Budapest, Deák Ferenc u. 7-9.1061 Budapest, Andrássy út 29.1185 Budapest, Liszt Ferenc Nemzetközi Repülőtér 2B Terminál3100 Salgótarján, Rákóczi út 22.4029 Debrecen Csapó utca 40.4400 Nyíregyháza, Hősök tere 2.6000 Kecskemét, Deák Ferenc tér 6.6720 Szeged, Kárász u. 15.7400 Kaposvár, Széchenyi tér 2.9022 Győr, Bajcsy Zsilinszky u. 52/b.7621 Pécs, Ferencesek utcája 2. In order to take over your card, please contact the office you have chosen.